Harness maker, MLA (1900-1903), MLA (1903-1907). Born in Nelson Township, Ontario on 6 August 1859, son of George Ruddell and Christina Stewart, he was educated at Brussels, Ontario. He then apprenticed as a harness maker at Blythe, Ontario. He came to Manitoba in May 1879 and established a harness business at Nelson. He then moved to Morden where he was engaged in the same business until about 1897 when he established the real estate firm of Ruddell, Pickel and Hobbs. In 1881, he married Fannie L. Grummett (?-1895). They had five children: Gertrude Ardell Ruddell (1881-?, wife of Alexander Duncan), Harold Henry Ruddell (1883-? ), Bertha Lake Ruddell (1885-?, wife of Norman J. Lawrie), Vera Pearl Ruddell (1888-? ), and Gladys Stuart Ruddell (1891-?). After his wife died, he remarried to Jennie Hunt (?-?) on 27 June 1899 at Winnipeg. He was for several years a member of the Morden town council and also occupied the office of Mayor of Morden. 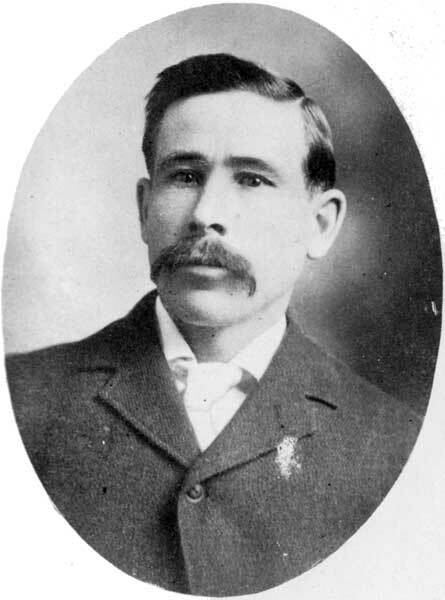 A strong supporter of the Conservative party, he was the successful candidate for Morden in the provincial general elections of 1899 and 1903. In religion he was a Presbyterian. He died suddenly in Morden on 17 April 1906. “Sudden death of J. H. Ruddell,” Winnipeg Tribune, 18 April 1906, page 7.